Over 5,000 outbreaks of avian influenza (AI) have occurred in Vietnam, with more than 60 million birds infected and destroyed from 2003 to 2015. This study aimed to describe the AI situation and associated risk factors after 2015. Outbreaks, surveillance and molecular characteristics data in Quang Ninh Province from 2015 to 2017 were gathered from Regional Animal Health Office Number 2. Risk factors for AI virus found in live bird markets (LBMs) were identified using odds ratios (OR) with 95% level of confidence. Ten outbreaks of AI were reported in the border area between Quang Ninh Province and China. The AI active surveillance detected viruses in LBMs from 37.3% (227/608) of the samples. Of these, 7.0% (16/227) were H5N6, and all 608 samples were negative for H5N1 and H7 subtypes. Poultry at LBMs in Quang Ninh imported from Bac Giang Province was slightly more likely to be infected with AI (OR = 1.4, 95% CI = 1.01-2.04). Provincial and national animal health authorities should continue to conduct active surveillance and strictly enforce poultry movement control from China as well as stop transportation of infected poultry across provinces in Viet Nam. TRAN, Duc Trong et al. Avian Influenza Outbreaks and Surveillance in Live Bird Markets, Quang Ninh Province, Vietnam, 2015-2017. OSIR Journal, [S.l. ], v. 11, n. 3, p. 1-7, sep. 2018. ISSN 2286-8933. 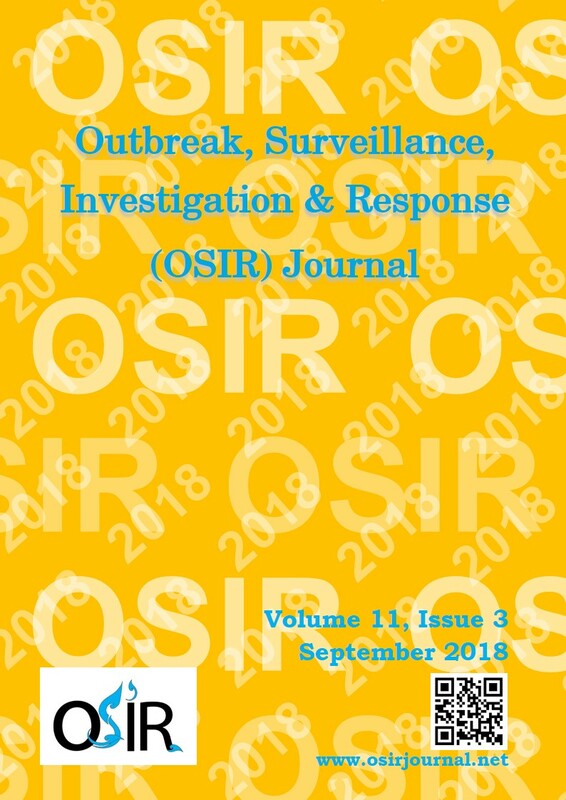 Available at: <http://www.osirjournal.net/index.php/osir/article/view/122>. Date accessed: 24 apr. 2019.